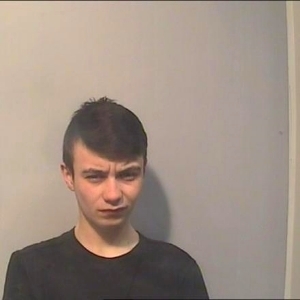 (Via York Press) Police in York have made an urgent appeal for help to trace a teenager who has been missing overnight. Fifteen year old Darren Patrick Boyd, from Boroughbridge Road, was last seen by his family at 8pm on last night on the 27th January. His family and police are concerned for his wellbeing as Darren is thought to be in an emotional frame of mind - and they are urging him to get in touch. Inspector Andy Richardson, of the York Safer Neighbourhood Team, said: “Darren’s family are worried sick about him and they need to know he is safe and well. “We are doing all we can to support the family while the police team is actively searching for him across the city. He is described as white, 5ft 3in tall, slim build, short dark-brown hair with green eyes. It is believed he is wearing a navy blue Nike hooded top, light grey Nike tracksuit bottoms and black-navy blue Nike trainers. If you have information that could help the urgent missing person inquiry, call North Yorkshire Police on 999. Please quote reference number 12150015620 or “Missing Person – Darren Boyd”. Oct 4 Urgent Appeal; Have you seen Paul Starr?